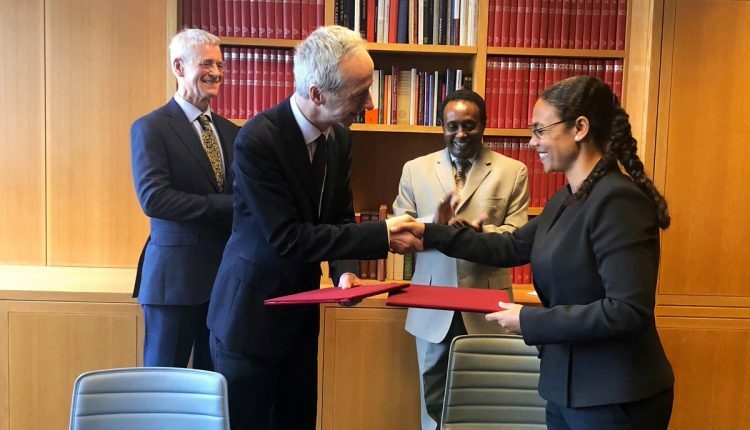 Addis Ababa, March 20, 2019 (FBC) – The Ethiopian National Archives and Library Agency (ENALA) has signed a Memorandum of Understanding with the British Library in London today. Ethiopia’s Minister of Culture and Tourism, Dr Hirut Kassaw, signed the MoU on behalf of ENALA. The agreement will see the institutions foster greater collaboration, research, capacity building and knowledge exchange. In discussions that followed, the Minister welcomed the signing of the MoU applauded the British Library for their conservation efforts. While thanking the Library for the donation of digitised manuscripts, the Minister also formally requested the return of manuscripts to Ethiopia.